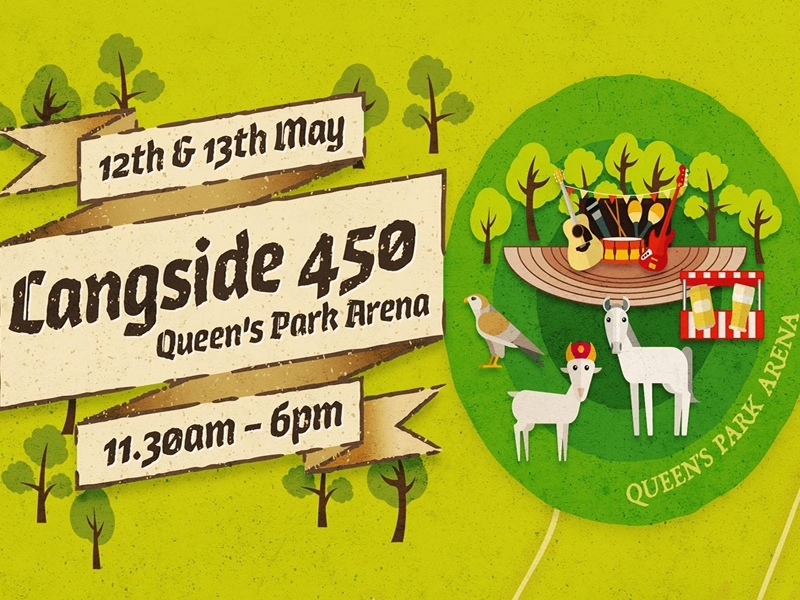 A programme of events are being held in and around Queen’s Park over the weekend of the 12th and 13th May to mark the 450 year anniversary of the Battle of Langside! Over the weekend of the 12th and 13th May 2018, Langside Community Heritage, Inhouse CIC, and many other amazing community organisations have curated a programme of events in and around Queen’s Park to mark the 450 year anniversary of the Battle of Langside. Langside 450 is not a commemoration or celebration of battle but is about the coming together of the local community and the area’s rich past. Baldy Bane Theatre Company and Locals schools present: ‘For Auld Lang-Side’ - a dramatic and musical journey through the history of the local area! A symposium of talks on subjects of local interest by community organizations and local historians. Sign-ups for walking tours of the battle site will be made available soon. A grand procession and fanfare involving local community groups, artists, musicians, and residents. There will also be Food and drink available from a variety of local producers! While we take every opportunity to ensure the details for Langside 450 are accurate, we always advise that you contact the event organiser before setting out for the event to avoid disapointment. Southside Fringe: The Semispecific Ensemble is an improvised music group sitting somewhere between modal jazz and music concrete, catch them at The Rum Shack! Southside Fringe: Enjoy an afternoon of relaxing and revitalising practices combining tai-chi, yoga, breathing, relaxation and meditation at Finn's Place! Southside Fringe Festival: A free community event for ceilidh dancers of all ages and abilities featuring ceilidh music performed by the lovely folk at Glasgow Folk Music Workshop! Southside Fringe: Join Young Scot Art Award Winner Amy Tucker at Cellar Southside as she hosts a Comic Book Workshop for 7 to 12 year olds!